Legend had a thing or two to say about Tortoise Mountain and Siggy believed every word. Not that he was any sort of gullible fellow, ready to swallow the tallest story to burrow its way into his ears. And tales involving giants were naturally among the tallest. 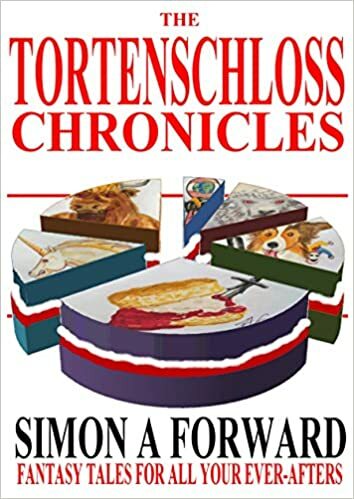 But the stories or legends or myths – to be honest, Siggy had some trouble telling the three apart – surrounding Tortoise Mountain had a ring of truth to them. Now that he stood in the shadow of this monstrous rise, his belief in the legends reached new levels. Like they’d collected nine more rings of truth to go with the original one. Because what the mountain resembled more than anything was the shell of a giant tortoise – the giantest giant tortoise that ever lived – that had been hollowed out to serve as home for a non-tortoise giant. Which was exactly what the legends claimed. Over the centuries, or whatever unit the time cared to be measured in, dirt had piled up on the tortoiseshell to make it externally little different to other earthen mounds, except for its size – which defied all the big words a man could throw at it – gigantic, enormous, ginormous – and its uncanny tortoiseshell shape. Tortoise Mountain possessed no foothills. It just sat there, huge and round, curving vastly from the ground up to its summit and back down again. Siggy supposed it may have had foothills when or if it belonged to a tortoise. Feet as big as hills at least. He could not envisage such a massive creature stalking across the land, however, and considered it a good bit of fortune for the world at large that the creature had been slain by a giant of equal or greater magnitude. Of course, that still left the giant. If Figboot was at large, Siggy felt sure he would have seen him by now. Which meant either the giant was home or on the other side of the world. But Figboot was known to be a bit of a homebody, not given to far wanderings despite his enormous stride. The earth-shaking rumbles emanating from within the mountain seemed to back up Siggy’s feeling that he was at home. The tremors sounded like a whole country snoring at once so he was inclined to go further with his guesses and deduce that the giant was asleep. Chances had been strong, if he’d thought about it, of finding the giant deep in his slumber. Dear old Mar, rest her soul, professed to have seen him three times in her lifetime and said he only woke every ten or twenty years. And every time he stirred, disaster came calling upon the town. The last occasion, Figboot had gone paddling in the ocean and that was the year of the tidal wave and the Great Flood that had washed away all the Toe districts along with his dear old Dad. Siggy had been but four at the time and retained only vague recollections of his Mar placing him atop the wardrobe while the flood waters ran amok in their home. Followed by many nights of crying long after the waters receded. Heel had not been so submerged as the Toe districts, but there had been much rebuilding and a great deal of crying all across town. Last night’s blaze in Big Toe seemed a minor misfortune by comparison, but it was not for Siggy to belittle the woes or property damage suffered by the wealthier sorts who lived there. Disaster was a leveller in all respects. Waking the giant for a talk did not strike him as the wisest of strategies if such widespread harms were the result of his rousing. Still, it was not for Siggy to go against the orders of Burgermeister Chaffinch. Higher men understood policy and tactics while lower men knew fish and artichokes and such. He peered into the gloomy gaping mouth of the high-arching cave. The opening in the side of Tortoise Mountain where it was said the tortoise, when it had roamed the world, would poke out its head. Siggy prayed that Figboot would not do likewise. He wondered if he should knock. He had never knocked on a mountain before but he could not imagine it producing much in the way of results. There were no snows to cap the heights of Tortoise Mountain so avalanches were not a risk, but Siggy was inclined to act and tread quietly all the same. He did his best to steel his nerve, but only managed a softer metal. Bronze, say. Gripping his fork and net to fortify his courage, he stole into the cavern. The cave was as big as a starless night sky and with all the steeling and stoling he felt like a thief. A species of visitor that, he warranted, giants did not welcome with tea and scones. Inside, he could feel the full weight of the mountain overhead. A glow like the ghost of a sunrise over black hills bathed the highest vaults of the ceiling, as though a pale sun was hidden somewhere back there behind the dark heart of the cavern. The light was unshifting, more constant than a candle, which was especially strange given how the mountain shook. Space trembled in consort with the ground and hot air nearly blasted Siggy off his feet. The snores were deafening. Enough to smother a simple footfall a thousand times over. But still Siggy dreaded to make a noise. And yet he had never stepped inside anyone’s home so long without announcing himself. He bumped into something. Immediately hopped back and swung his fork up to defend. He flexed his net like he was shaking dust out of a sheet. He narrowed his eyes, trying to get a fix on what he’d struck. Or what had struck him. As Siggy’s eyes adjusted to drink up the dregs of light spilling in from outside and over the solid mass of shadow before him, he fancied he could discern a hanging willow branch, thick as a tree trunk. The colour of straw, but shinier and smoother. Not a hundred miles, in colour distances, from the Burgermeister’s retriever, Goldichops. He probed the air with his fork and the prongs brushed twenty or thirty other branches just like the first. They swished at the provocation. 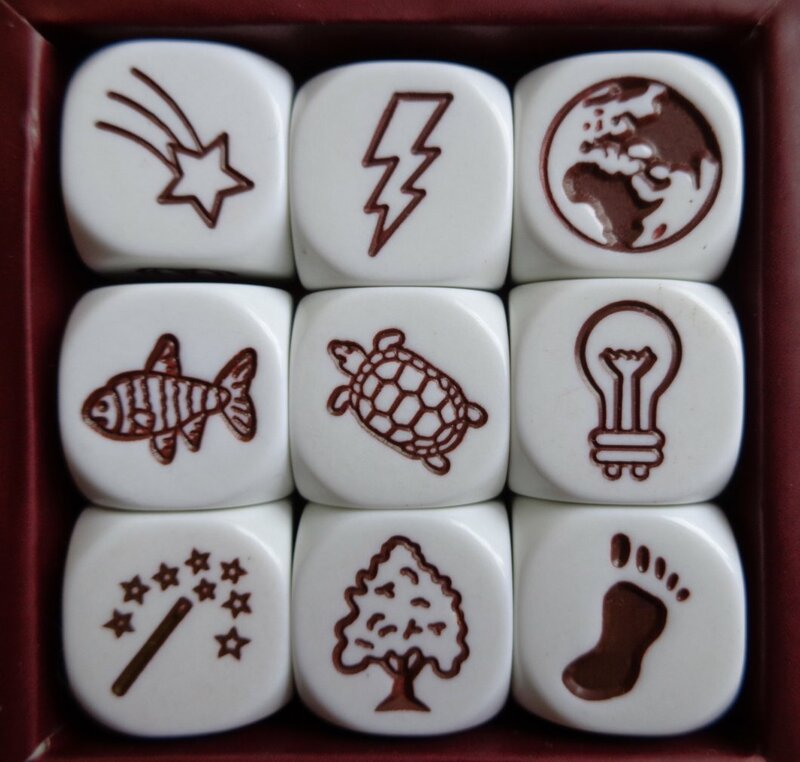 This entry was posted in Writing and tagged Adventure, Fantasy, fiction, fun, storycubes. Bookmark the permalink.